If you are concerned about the safety of your home or business, you are most likely to have installed an intruder alarm in order to keep your property, loved ones and yourself safe from harm. An intruder alarm has a series of sensors to sense when someone has broken into the property which then sets off a loud sounding alarm. This system requires someone to hear the alarm once it goes off and then requires someone to alert the authorities, would your neighbours investigate why your alarm has gone off or call the Police? Worryingly the West Midlands was ranked the second highest region where people were most likely to ignore a house alarm going off in their street. 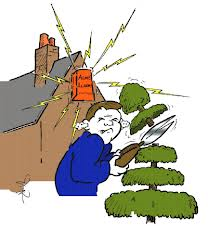 A study by Esure Home Insurance found that 72% of those interviewed would ignore a house alarm if it was going off. We find that when the weather gets warmer alarm activations rise due to flys, moths, spiders and thunderbugs triggering the sensors causing false alarms, the increase in false alarms may have contributed to why neighbours choose to ignore alarms going off in their areas or they are concerned about their own safety and the safety of their property so choose to ignore the alarm. Have you ever thought of installing a monitored alarm which is linked to a Security Company? PHX Security pride ourselves on our keyholding and alarm response service. When our client’s alarms are activated it alerts PHX and we despatch a Licenced Security Officer to attend the property and deal with the activation giving our customers total peace of mind. Most people think that this type of service is expensive but when they actually discuss it with us they are surprised at how reasonable the cost actually is and it can actually decrease the cost of your house insurance too.